The Roofing Lady, strives to be the most honest and dependable provider of roofing repairs, re-roofing, leak inspection, and general roof maintenance in Long Beach & surrounding cities. Contact us today to discuss the details of your roofing need or if you have a question about any of the services we offer. 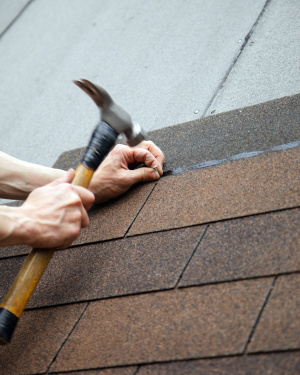 We provide a variety of roofing services for your home, including roof replacements and repairs. If you have a unique idea or special application, we can design a custom solution for your home. Address your roof issues immediately. Allow our experts to find and recommend the best repair option. Our team is trained and properly equipped to perform new roof installations, re-roofing, and roof repairs. Your roof is an important part of your home. When you consider that it is needed to protect your house, your furniture, and family, you want to ensure that every precaution is made so that your roofing system is dependable. There are many options when choosing a roofing provider, but if you are searching for a trustworthy company that is dedicated to the needs of it’s customers, choose The Roofing Lady. We provide a variety of roofing services at fair and affordable rates, and are fully licensed and insured to offer an added layer of protection to property owners. Request a FREE Cost Estimate Today!